I have been traveling to Duinrel for many years the staff are the rudest ever, I continue to come here as my children prefer it to Florida so much to do. Don't even ask if somethings wrong as the response will have you dumbstruck no one smile very rude, the man in the go cart hire which all the kids go to wouldn't change my childs cart as it was squeaking he said oh well they are all like it if you don't like it don't have it. I had to complain to the main desk and they said it is totally out of their hands because he rents his business space from the owners, they were not concerned at the outcome of the customers responses and other child was upset as had a flat tyre very rude they weren't interested. When you book the woman called Martina is so rude extremely I’ve dealt with her on many occasions try and book with euro camp bungalows very much nicer and run by young staff that help a great deal. The bungalows on the campsite are not as nice as al fresco or euro camp believe me I’ve been going for years. If you are from the UK take vinegar the Dutch don't have it it’s called alzine in Holland and if you ask for it nicely your told NO alzine very rude ist shocking I guess it’s the Dutch nature they will not bend over backwards for anyone even your child. 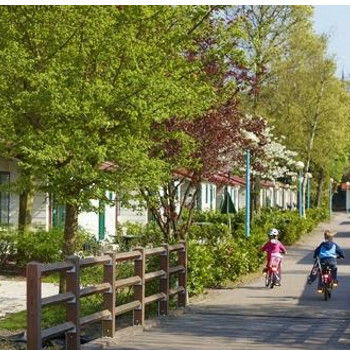 My family stayed in a three bedroom caravan in Duinrell at Wassenaar. This is one of Al Frescos largest caravans and a decent size. For a wheelchair user, I would point out that the caravans would only be suitable if you are able to walk around at least a little. I am lucky enough to be able to walk a few feet, and climb a few steps, and found it manageable. There are 3 wooden stairs to the caravan, the insides are very tight, doors are too small for a wheelchair, and the toilet is tiny! There are no hand rails.